Salary Series: How Much Does a Web Developer Make? This article is part of our Salary Series, where we’re breaking down salaries in tech. Do high starting salaries and the idea of flexible work make a career pivot into tech sound like the move for you? Then let’s get right to the point: a career in web development (which can include everything from a full-time job, to a freelance career, to a lucrative side hustle) is one of the most strategic ways to get there. If you’ve been wondering how much a web developer makes an hour, how much entry level web developers can expect to make in salaried positions, or even how experience and geography affect developer freelance rates and salary averages, you’ve come to the right article. We’re covering it all. What is a Web Developer Salary? $61,000+ is the average in the U.S. for entry-level front end web developer positions. According to Indeed.com, the average entry-level front end web developer makes $61,512 a year working full-time in the United States. But wait—what is a front end web developer, and is it different than a “web developer”? Front end web developers use coding languages to build the parts of a website that users see and interact with. Front end development is also likely to be the kind of web development you’re focusing on if you’re new to the field. All of the pages, menus, and forms that appear on your phone, tablet, or computer screen when you visit a website are built by a front end developer. Because front end is such a common entry point for new developers, front end development is the focus of this post, but we’ll visit the salary details of back end developers and engineers in a future article. For now, we’ll add that Indeed lists average back end developer salaries at $127,407 per year. After you’ve accumulated three or more years of experience in the web development field, Indeed’s average salary moves up to $108,409 for mid-level and senior front end development jobs. You should also keep in mind that web developer salaries will vary based on your geographical area (or the geography of the company you’re applying for, if you’re working remotely). Here’s a breakdown of how the average entry-level salary varies between East Coast, West Coast, and Midwest cities. 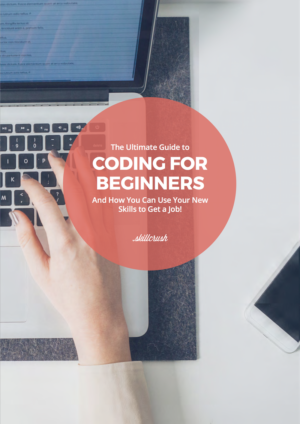 Finally, if you’re wondering where to learn the specific skills you’ll need to start making these salaries, look no further than our our Skillcrush Front End Developer or Web Developer Blueprints. These online courses can be completed in three months by spending just an hour a day on the materials. In addition to solid starting salaries, there are other bonuses to having web developer skills that aren’t directly reflected in the payscale. These bonuses are a byproduct of web development’s extreme versatility. Simply put, web development is at the heart of tech—websites and web applications are kind of the point of this whole internet thing, so as long as there’s a tech industry there will be demand for web developers. This is borne out in numbers from the Bureau of Labor Statistics. According to the BLS, web developer positions are projected to grow 15 percent from 2016 to 2026 (compared to 13 percent for all computer occupations and 7 percent for all occupations in total). That’s a lot of growth to fill, which means there are developer job openings of different shapes and sizes—everything from full-time, to part-time, to freelance, to remote gigs—and having web developer skills will put you in position to find the kind of role that’s right for you. In fact, even learning the most basic of developer skills (HTML and CSS) will already qualify you to start taking on basic, paid jobs. Once you’re ready to start taking on your own clients, don’t forget to check out our guide to calculating a freelance web rate here. And no matter if part-time work, freelance work, or a full-time job is what you’re after, our Front End Developer and Web Developer Blueprints will equip you with the skills you need to make it happen. Salary Series: How Much Does a Web Designer Make?